You can achieve truly healthy skin only if you can pick and use the right skin care products that complement your skin type. If you have dry skin, then your skin care kit should never be without soaps with extra moisturizing content. You will particularly need them during the wintertime, because your skin is likely to dry out excessively during the cooler months. Also, dry skin features insufficient oil secretion, which makes it tough for your skin to shield itself from harsh weather conditions. If you do not attend to this problem on time, then that damage might cause you even more problems in near future. Pears are recommended for all infants and kids it has a nice mild fragrance and brings softness to the tender skin of the baby. It provides happiness and cheerfulness to the baby in every bathing experience. Pears Pure & Gentle Soap is the best soap for all types of skin. It is a transparent soap and is free from any allergic or side effects on the skin. This soap is enriched with pure glycerine and natural oils which helps in moisturizing the baby’s skin. It makes the skin smooth by preventing roughness and dryness. It is manufactured by Himalaya Health Care Companywhich is one of the best companies in Health care, Personal Care and Baby Care sectors. This herbal soap is enriched with almond oil, olive oil and vitamins. It brings mild and soothing fragrance on the baby’s body. Another product from Himalaya is enriched with aloe Vera, olive and almond oil which helps in restoring the moisture and bringing softness to the skin. It has many ranges in the sector of baby accessories, garments, toys etc. Farlin Baby Transparent Soap is the best soap which is mild on the baby’s skin as it is enriched with the richness of honey and vegetable oil.. Honey is the best moisturizer which is natural in nature and protects the r baby’s skin against harmful bacteria. Brand of baby soaps are imported from Pigeon Corporation Japan and are marketed by Pigeon India Private Limited. This soap is enriched with natural ingredients which are mild on the skin and helps in cleansing and softening the skin.Pigeon Baby Transparent Soap gives good fragrance. It is enriched with thegoodness of jojoba oil, which is best to cure diaper rashes and skin irritation. This soap helps in removing dryness and roughness in the skin. Baby soapsare soap free and is best for sensitive skin. 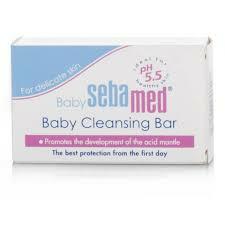 This soap is clinically proven and tested by dermatologists.Sebamed – Baby Cleansing Bar is a mild soap which is introduced to cleanse thebaby’s tender skin. The PH balance in the soap act as a giant in protecting the texture of your baby’s skin. This soap is enriched with wheat germ oil and the goodness of Vitamins and Amino acids which help in hydrating the baby’s skin. This baby soap is suitable for all the three types of skin — sensitive skin, dry skin, and soft skin. It is a multinational company which manufactures baby products in more than 100 different countries. 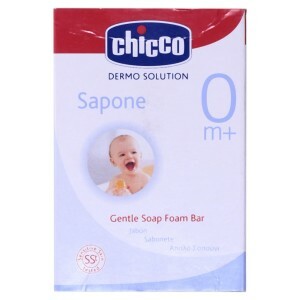 Chicco Gentle Soap Foam Bar is enriched with glycerine which helps in keeping the baby skin soft and smooth. This soap is best for delicate and sensitive skin of the baby.This soap foam bar is clinically tested by the dermatologists and is proved to be the best forinfants to be used ontheir face and body. It is enriched with olive oil and vitamin E. It is available in different shapes and sizes to attract the kids.It are made with natural vegetable oil which moisturize the skin and keeps it soft and healthy. You must have used the baby soaps from Himalaya with other combinations. 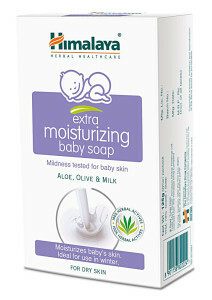 This is one of the new variety of baby soaps brought by Himalaya that comes with the extract of natural rose and Almond. It is totally natural without any chemical involvement. It will be very gentle on your babies skin and will make him really moisturized. Since it is a mild and gentle soap will work well on your baby. 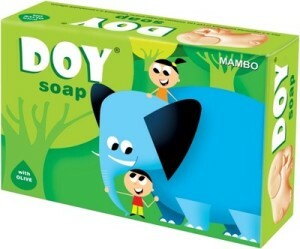 This is a baby soap which you can use on your little one’s skin. If you don’t get this soap in any of the local or departmental stores, get is straight online. There are many ecommerce websites that have the stock of this soap even today. Grab it right away before it is very late. The product is in demand and can easily get extinguished. You must order it today. People are quite inclined towards the organic variety of product. Those will be really safe from the harmful chemicals. This is one of the most trust-worthy brands which do not use any harmful chemicals which might harm your baby and his skin. It comes with the certified organic oil, aloe gel, chamomile and other natural products. It will be really safe and sound with tulsi oil, milk cream, This is one among the chemical free baby products that will help you to maintain healthy lifestyle. The other ingredients like tulsi oil, turmeric, ubtans, and milk creams will be really forming a contribution towards healthy skin of your baby. Here are the major list brands of baby soaps available in India to maintain the baby’s skin soft and healthy.It is recommended to use any one of them, only if it suits the baby and there is no side effect revealed on testing. You can easily use these products without thinking about the side effects and other harmful chemical constitutes.